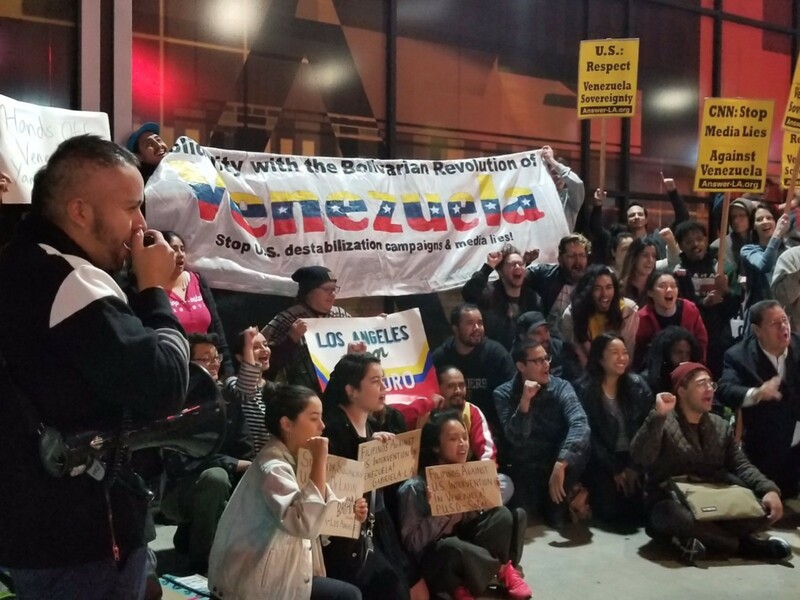 On the evening of Jan. 24, around 100 protestors gathered outside CNN headquarters in Hollywood, Los Angeles, to demand an end to the monopoly media’s campaign of demonization and misinformation against Venezuela, and their explicit support of a U.S.-backed regime change effort that has seen Washington declare unpopular opposition leader Juan Guaidó the new president of Venezuela. 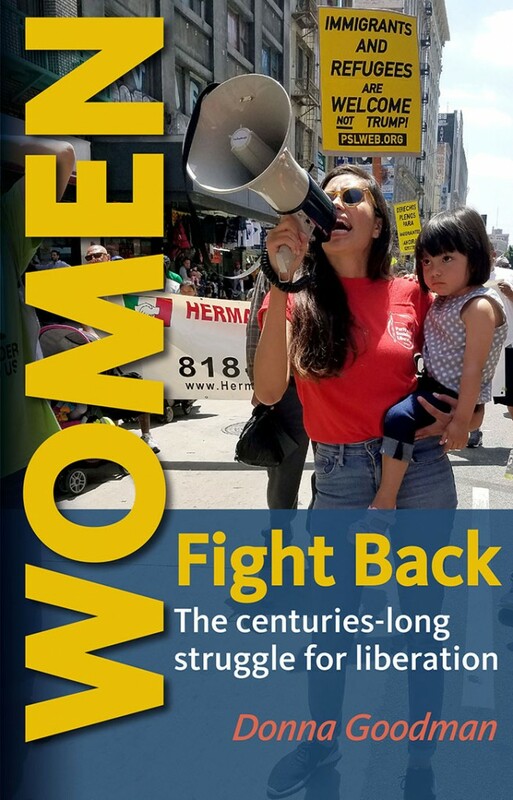 Called by the ANSWER Coalition, organizations including the Party for Socialism and Liberation, Union del Barrio Los Angeles, BAYAN SoCal, GABRIELA SoCal, the Philippines-U.S. Solidarity Organization, the and many others were present. Participants chanted, “What do we want? U.S. out!” Even though the call for the emergency demonstration was made on very short notice, this did not stop workers of Los Angeles from making their voices heard and showing solidarity with President Nicolas Maduro, the working class people of Venezuela, and the Bolivarian Revolution. 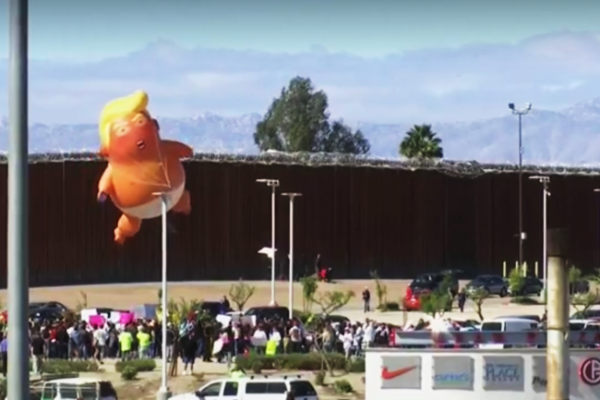 Members of the community from all political backgrounds came out to show their support for the struggle against U.S. imperialist intervention. Berny Moto, a U.S.-based activist of the FMLN in El Salvador, attended to show his opposition to the long reign of U.S. backed state terror and regime change in Central and South America. Speakers highlighted the manufactured nature of the “economic crisis” in Venezuela being used to justify selecting a new government there. 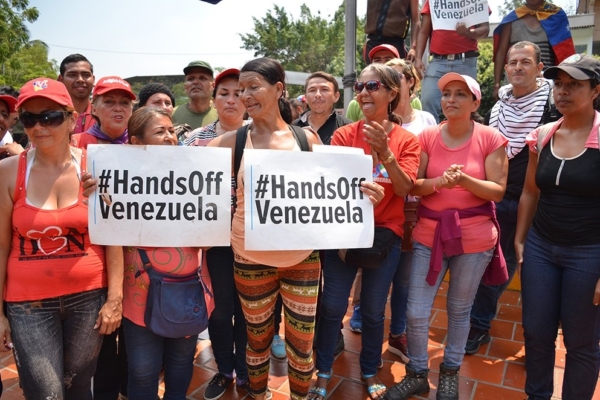 An onslaught of sanctions, trade discrimination, support for the right-wing within Venezuela, and other forms of economic warfare has caused severe shortages and economic hardships that Washington can then blame on the government’s socialist-oriented economic policies, justifying intervention and support for a right-wing backlash against the Bolivarian Revolution that does not have the people on its side. 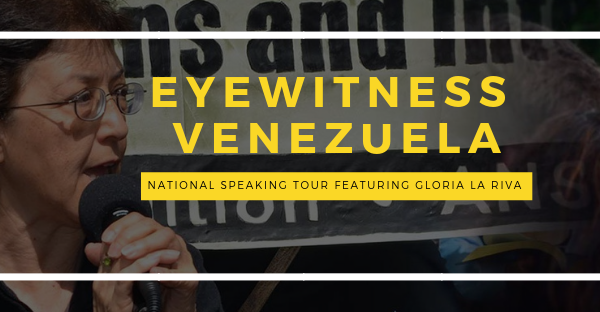 Martin went on to note the violence from the opposition that she saw first hand when reporting in Caracas, including one man who planned to blow up a food distribution center because he could not realize his plans to become an entrepreneur under the Bolivarian government. Despite the opposition’s violent means and imperialist backing, the revolutionary spirit of the Venezuelan people will not be stifled. We must show our solidarity with the Bolivarian Revolution and demand an end to U.S. intervention. ¡Vive Chavez, vive Maduro, y vive Venezuela!